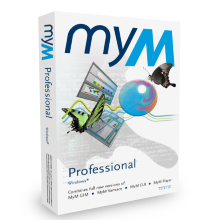 The Professional edition is the commercial version of MyM. With this license you are allowed to build and distribute models commercially. This license does not expire and upgrade plans are offered. The educational edition is for use by faculties of educational institutions only. Education end users are faculty, staff, and employees of government-certified educational institutions. Educational editions may not be used for, or distributed to any party for, any commercial purpose. 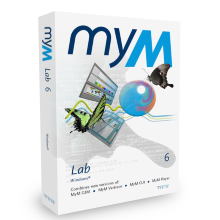 The Lab edition is for use by faculties of educational institutions only. Lab editions may only be installed on computers and networks used in the school’s classrooms and computer labs. The Lab edition expires after one year. Lab editions may not be used for, or distributed to any party for, any commercial purpose. The student edition is for use by students only. The Student edition may have limited features and expires after one year. This edition does not qualify for support and cannot be upgraded. Student editions may not be used for, or distributed to any party for, any commercial purpose. The Starter edition is for use by residents of countries listed by the OECD as "Least Developed Country", "Other Low Income Country" or "Lower Middle Income Country" only. The Starter edition may have limited features, does not qualify for support and cannot be upgraded. Starter editions may not be used for, or distributed to any party for, any commercial purpose.